I’ve been trying to figure out why the X-books don’t appeal to me anymore, given that in my younger days I wasn’t just a Marvel zombie, but an X zombie. I’m sure the sheer number of comics is part of it. Continuity doesn’t bother me, so it’s not that. I think part of it is that whenever Marvel announces an X-book and reveals the line-up of that team (be it the Blue, Gold, Red, or Paisley team) I’m disappointed. 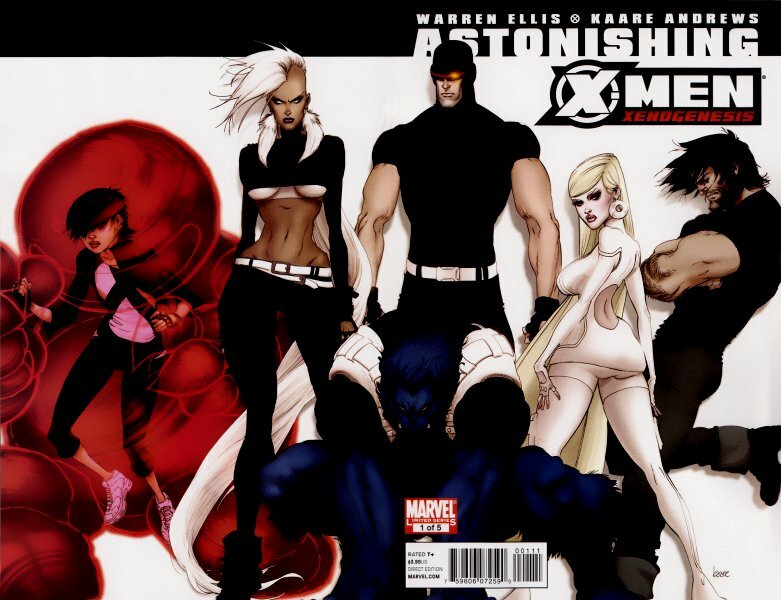 I’ve yet to see a line up that interests me and I don’t think I have since Warren Ellis’ brief time on Astonishing X-Men; he wrote the perfect X-Men team. That’s a bold statement, I know. First, you have to consider the grand history of the X-Men and all X-Men related books. What would go into making a perfect team? How would such a thing even be defined? Personally, I feel like this team was about as perfect as can be, mostly because I had no idea I would feel that way. It wasn’t a team I sat down and thought about, not like I would have done when I was young. Ultimately, it’s about relationships, and the team of Cyclops, Emma Frost, Wolverine, Armor, Storm, and Beast had unbelievable chemistry. 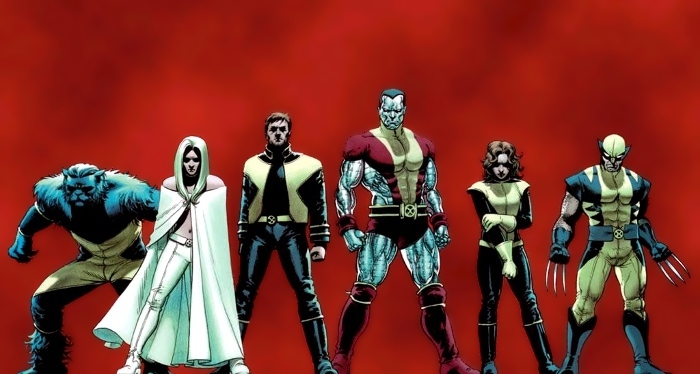 Here’s the interesting thing about the X-men: even though there have literally been hundreds of members of the various mutant teams, there are probably only two dozen character who are considered iconic. It’s easy to break down. There’s the original team of Cyclops, Marvel Girl, Angel, Beast, and Iceman. 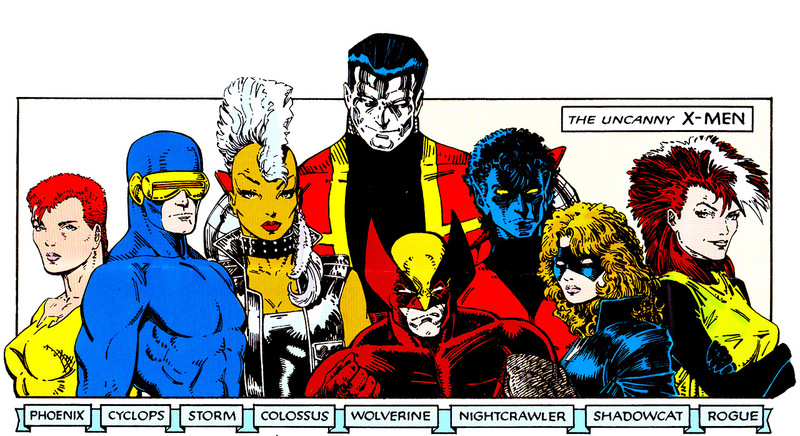 There’s the All New, All Different team, although most people only consider half of them iconic: Wolverine, Storm, Colossus, and Nightcrawler. There are the Claremont creations: Shadowcat, Rogue, and Gambit. While the original New Mutants line-up is pretty well known (and perpetually reuniting, it seems), the original X-Force line-up and the extreme 90’s creations that came there after may be better known (at the very least, Cable is). 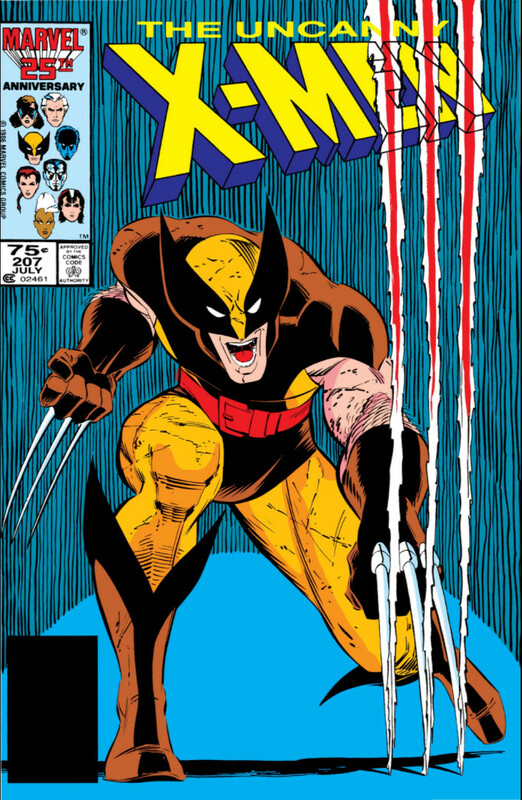 One of the first comics I ever bought with my own money was Uncanny X-Men #207, which has what must be considered the greatest cover featuring Wolverine that Marvel has ever published. That was a great team. They were the punk rock X-Men, with Storm’s mohawk and leather, Rogue and Shadowcat dressed like 80’s club rats, and the new, edgy Phoenix. There was a lot to like about that team, but they existed before I found out about them, so it was the team that came after them that has always held a soft spot in my heart. After the Mutant Massacre, the X-Men were decimated, and over the course of the next year or so, Chris Claremont put together a new team, one I’ll refer to as the Great Eight. 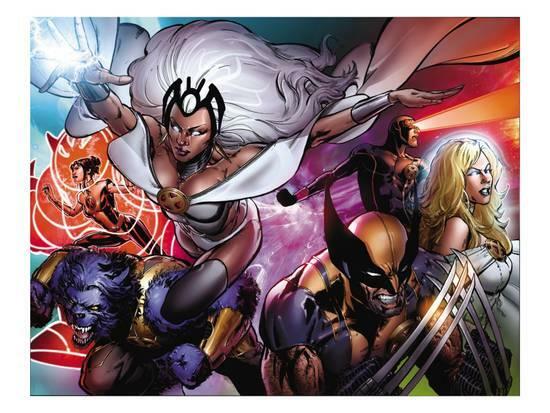 It featured an iconic, old school core, in Storm, Wolverine, Colossus, and Rogue, plus 4 characters who had been around for a while, but gotten less exposure: Havok, Dazzler, Longshot, and Psylocke. While a bit unwieldy because of the number of members, the dynamics of this team were great, and I hold this team in high regard. It doesn’t hurt that a) this was during the first few years of my comic book buying life and b) Claremont had artists like Silvestri and Lee to help him out. 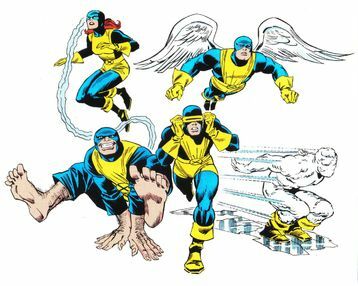 There’s also probably something to be said for the fact that, back when the Great Eight were formed, there were only three other X-teams running around: Excaliber, New Mutants, and X-Factor. The pool of mutants had not been watered down by hundreds of new characters at this point. Heck, X-Factor and Excaliber were formed entirely of old characters who just switched teams. When the X-Men became so big that they had to split into two separate teams, the writing was on the wall. More and more new characters showed up and things got all the more messy because of it. Stories became focused mainly on plot and character dynamics went by the way side. It probably shouldn’t have been surprising to me, then, that the same creator who brought me back into the X-Men books would be the one to take it back to basics. 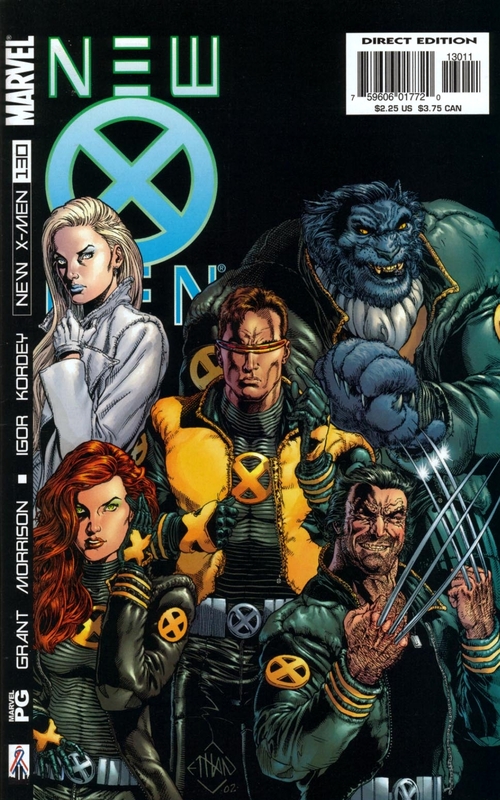 It’s not unreasonable to think that when Grant Morrison took over New X-Men, he had a wide variety of characters to choose from, and probably no limitations on how many he could use. 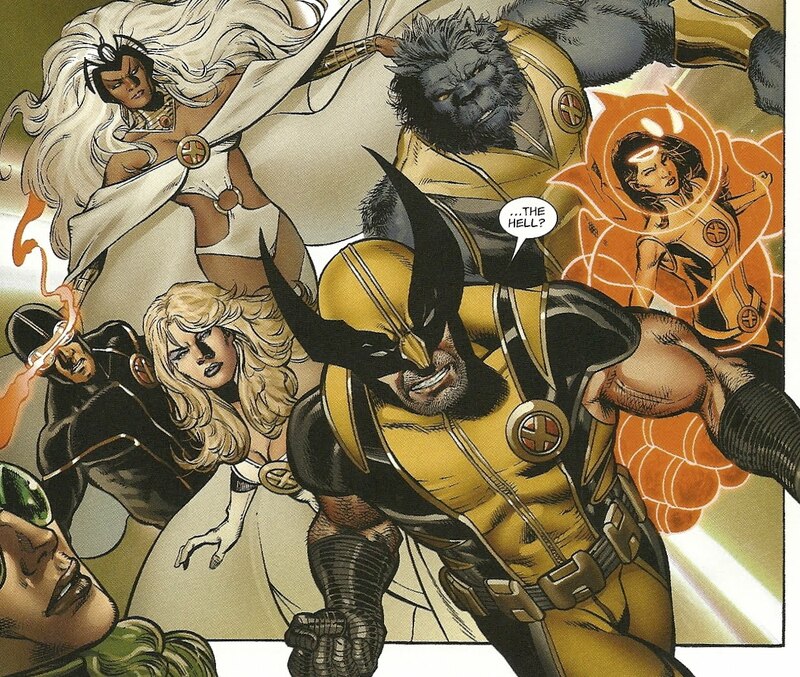 He was denied the use of the then-deceased Colossus (for which I am thankful), and settled on a team of five: Cyclops, Jean Grey, Wolverine, Beast, and Emma Frost. The interplay between these five characters was fantastic, and I think much of that had to do with the fact that there were only five of them.It’s not surprising, really, that Morrison went this route with the team. After all, his own creation, the Invisibles, was made of up individual cells of teams, all of which had five members. Five seemed to be the team size of choice for Morrison, and it certainly offered more than enough tension to keep the stories entertaining and, perhaps more importantly, complex. When Morrison left the X-Men, he took one of his core five with him — Jean Grey was, yet again, dead. Joss Whedon followed in Morrison’s footsteps and filled the missing spot with exactly who everyone expected: Kitty Pryde. It’s not hard to see how Shadowcat had influenced Whedon’s work over the years, and adding her to the team as a sort of counter to Emma Frost was a nice touch. It was not, however, Whedon’s best addition to the X-Men. Whedon expanded the team after only a few issues. The return of Colossus made for nice drama in how it affected the other characters, but Colossus himself had become something of a non-entity over the years, and even Whedon’s stories did little to change that. So, no, resurrecting Colossus was not Whedon’s signature move on his run. The best thing Whedon did while writing the X-Men was the introduction of Hisako Ichiki, who would later be known as Armor. Aside from having a visually appealing mutant power, Armor became the third Robin to Wolverine’s Batman. She’s the innocent thrown into the crazy world of the X-men, but she’s not over matched. Not only is she strong, but she’s smart and witty. But she’s still a teenager, and adding a young character to the mix created a new-old dynamic. Just as Morrison had taken Jean Grey with him when he left, Whedon took Kitty Pryde. While Colossus hung on as best he could, the aforementioned non-entity aspect of his personality did not bode well for his future. Morrison gifted us with the wonderful core of this team, as well as the brilliant Cyclops/Emma Frost relationship, and Whedon added perhaps the best (and currently wasted) new character in years with Armor. Warren Ellis adding the missing component, one that made perfect sense: Storm. The dynamics on this team are wonderful. You have the refined, cultured views of Emma, Storm, and Beast. You’ve got the Beast’s brains. You’ve got Cyclops and Wolverine, long time rivals, who have both been soldiers since their mutant powers kicked in. There’s Cyclops other sometime-rival, Storm, who is a diplomatic leader in contrast to Cylops’ field leader. There’s Emma, Beast, and even Wolverine wanting to teach Armor how to be an X-Men. There’s Armor’s awe in the events that follow the team around. 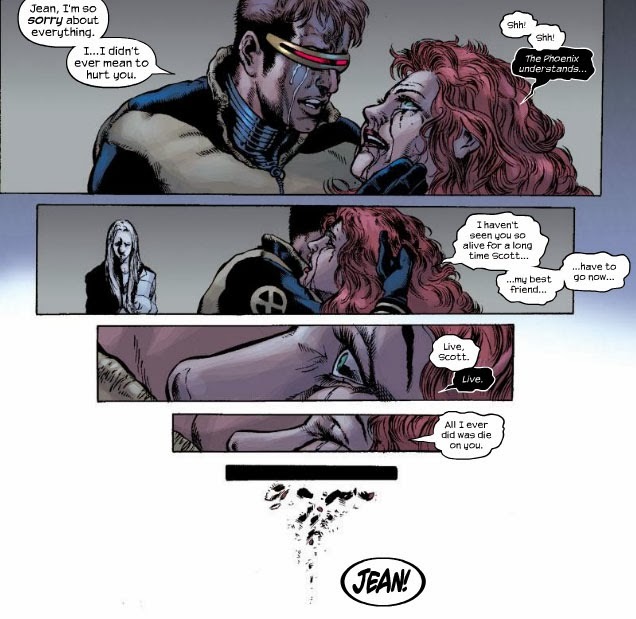 And there is, of course, the fantastic Cyclops/Emma relationship. This six member team is everything I could have ever wanted from an X-Men book. As of this writing, Cyclops is dead and Emma Frost is, I guess, a villain again. I think Storm and Beast are still X-Men. Wolverine is back from the dead with flaming claws. And Armor has fallen away as so many mutants have before her and after. It’s too bad that we had this team for such a short amount of time, but I’m glad we did. Maybe someday the X-books will put together a team that matches this one, but I’m not holding my breath.